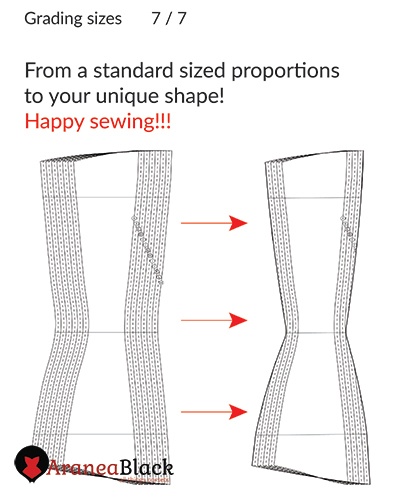 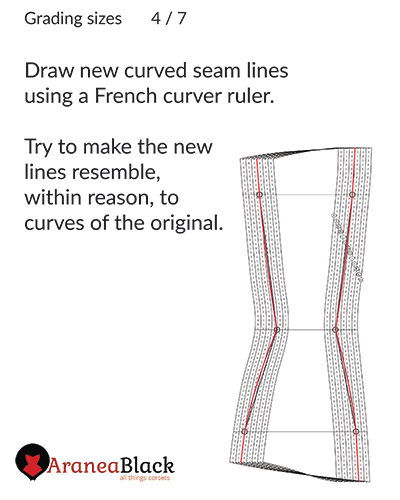 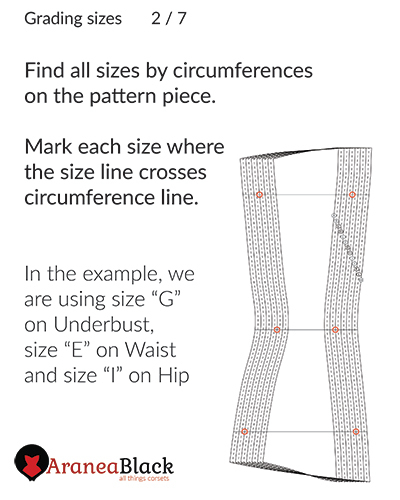 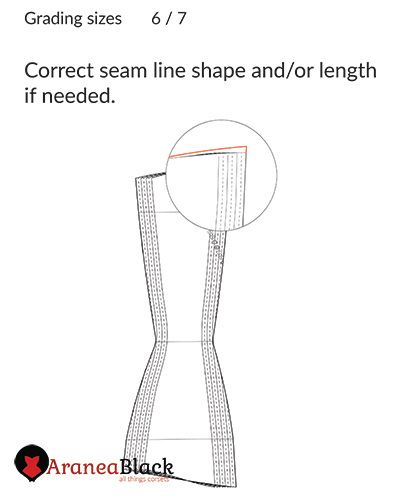 How to grade sizes on a multi-sized corset pattern? 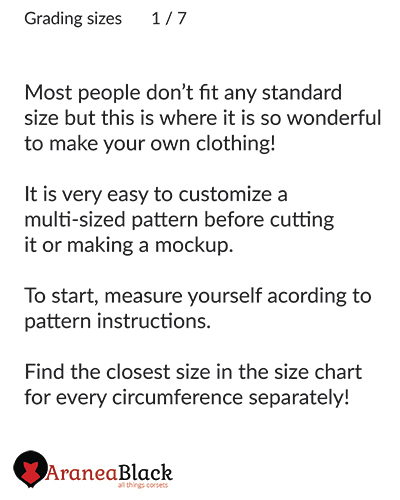 Just a few people fall into the proportions of any standard sizing because everyone is unique, not a statistical average. 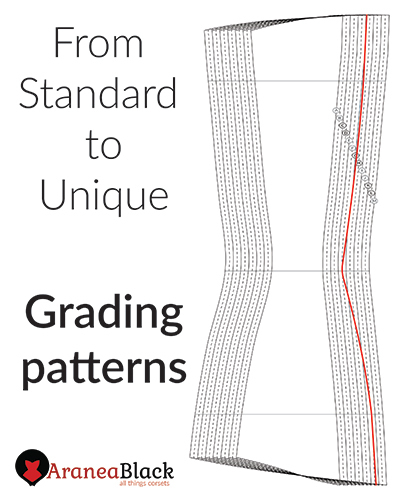 By applying this grading tutorial, you can customize your pattern even before making a mockup, saving you time and money! 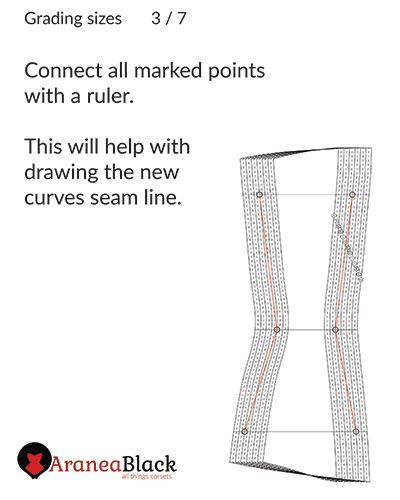 Hope you will find this method helpful! 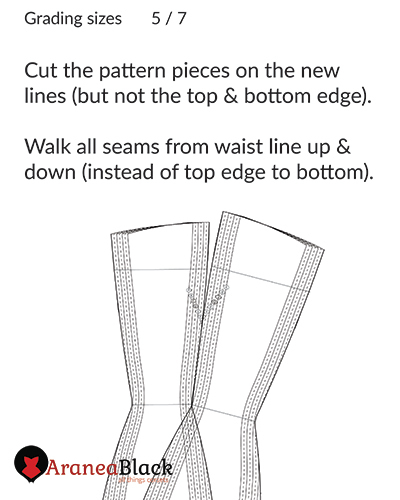 Method is demonstrated on Underbust corset pattern SONYA though the same principle can be applied to any other corset patterns.